Old is now the modern day new, haven't you heard? 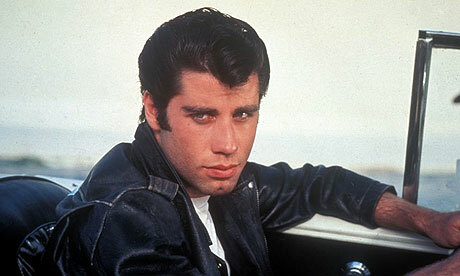 The 1950s 'slick rick' hair styles are increasingly popping up all over the trendiest streets around the country. Even celebrities like David Beckham have turned to the vintage look. If you're thinking about sporting the slick rick hair do, then along with some good hair pomade, you'll definitely need a decent styling tool. Check out the new Vintage Sandalwood Comb, a beautifully crafted hair styling accessory made from 100% sandalwood. 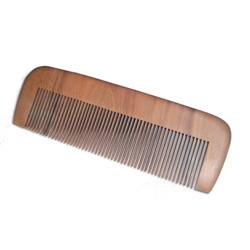 This very vintage comb is designed for comfortable grip and is easy to glide through the hair during brushing. Made in Japan, this sandalwood comb is great when used with a thick hair pomade as it is easy to clean and effectively smooths out the pomade, leaving your hair free of the rather annoying chunks and bits. A fine addition to the grooming cabinet. Shop for essential male grooming products.